In his encyclical on hope, Spe Salvi, Pope Benedict XVI does a wonderful job of demonstrating how 1 Corinthians 3:10-15 clearly supports the doctrine of Purgatory. It is interesting to note, as well, that Dr. Scott Hahn, a Protestant convert, mentioned this New Testament passage in 1 Corinthians as being decisive for him in accepting the Church’s teaching on Purgatory (he says, “I must admit that theologically and psychologically 1st Corinthians 3 basically sealed it up. It was all sewn up for me when I worked through this, praying, studying, pondering. I think it’s strong and clear.”). 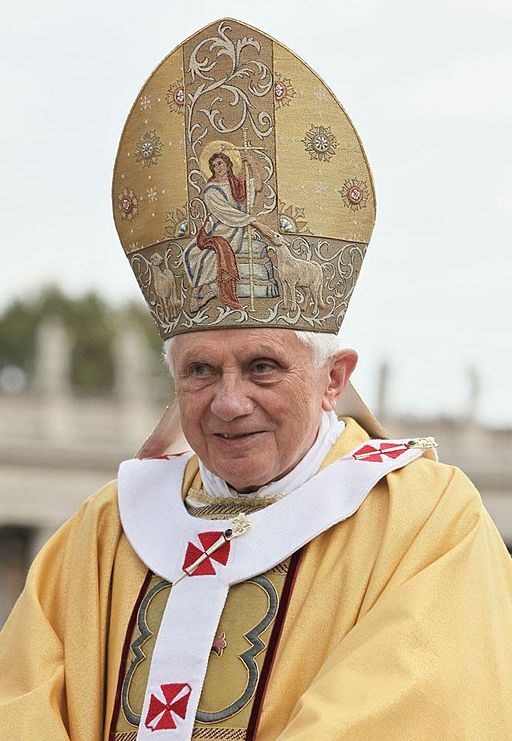 Photo attribution: Pope Benedict XVI at a canonization Mass, October 17, 2010, by Kancelaria Prezydenta RP. Permission is granted to copy, distribute and/or modify this document under the terms of the GNU Free Documentation License, Version 1.2 only as published by the Free Software Foundation (as downloaded from the Wikipedia article on Pope Benedict XVI and incorporated by reference).